Motherwell host Livingston on Saturday knowing that a win would close the gap and leave both teams on 30 points. Recent form points a home win but Stephen Robinson’s men know a tough task lies ahead. The fortunes of Motherwell and Livingston have been at either end of the scale since the turn of the year. The Lions produced a shock 5-0 win over Hearts in mid December but then embarked on an awful run. Two draws and four losses in a row have them out of the cup and on the slide down the league table. By happy contrast Motherwell have beaten Hamilton, Hibs and Dundee to ease concerns in the bottom six and now look with growing optimism up the table. Conveniently the next target arrives this weekend. Spirits at Fir Park were boosted when David Turnbull agreed to extend his stay by 30 months. There was a growing clamour for the club to ensure that the young prospect was not lost and we look forward to enjoying another academy graduate blossom. The manager placed his faith in an unchanged starting eleven at Dens Park and we may see the same again on Saturday. Livingston have had nothing to cheer of late but they have already shown that they can match us. Since our League Cup win on their rubber pitch in August they have the upper hand in league meetings. 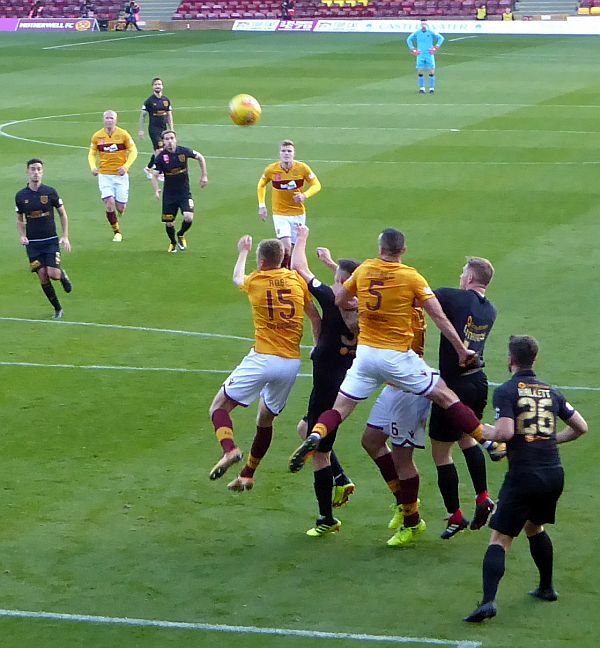 A 1-1 draw at Fir Park in October was followed by a 2-0 home win for Gary Holt’s side when we met in early December. Unless the visitors pull a striker our of the hat before transfer deadline arrives we can expect Ryan Hardie, Steven Lawless and Dolly Menga to be the main threats. But they have scored 26 in the league to date (three more than us) and those came from all over the pitch. Still, if we can summon up the energy to produce a third consecutive clean sheet we could extend our winning run with a 1-0 triumph. Remember the last visit of Livingston?